Those who read regularly (hi!) will know I’m a some-times runner. I’m not that good or that fast, but I enjoy it, and I run. When I travel for work or play, I’ll usually pack the shoes and go for a trot to explore new places. It’s a nice way to start a day, and to get to know the lay of the land wherever I happen to be. I sometimes do the same with my bike…but it’s not quite as portable as a pair of running shoes! Those who know me personally will also know I’m a bloke, and a fairly big and tall one. That matters too, in the context of this story. 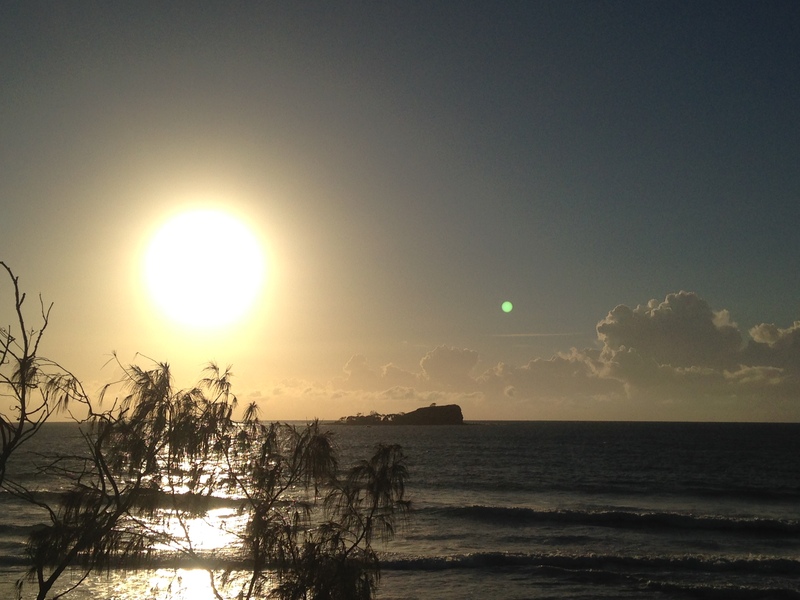 A while back I was on the Sunshine Coast, and early one morning laced up the shoes and headed out for a run from Coolum down to Mudjimba. It was a beautiful early morning, and quiet, with not many people out and about yet. On the return leg I started taking little detours off the main road, into little beachside streets or waterfront walking tracks and then back out onto the main road. It was a nice bit of variety and a few extra metres each time. The first time I did so, I came back out onto the main running track just in time to see a fellow runner (a woman, and yes, in this story, it matters) join the trail from a side street a little in front of me. I was traveling a slightly quicker, so passed her by, offering a quick “hello” as a greeting often shared by runners, and continued on my way. Soon after I turned off the trail onto another little side route, and when I returned to that main trail found myself just behind the same woman. As I said, I was running a little faster so I went past, and continued on my way. I took the next side-route and on rejoining the main road, once again found myself behind the same woman. This happened about three or four times before I made it back to my starting point, turned off the trail once and for all and went home for breakfast. Later that morning (I’m a bit slow to pick up on these things) it occurred to me that I could well have been causing my fellow runner to think she had a stalker…a middle aged, dark-sunglassed, huffing-and-puffing stalker who kept on detouring and then running up behind her. She could well have been quite anxious about my presence, really worried in the quiet early morning about my motives. I have to say it was a horrible feeling, that I could have been causing anxiety or fear in another, and even worse that I hadn’t realised the possibility until later (when it was too late to take a different route for example). It matters not that the repeated encounters were totally innocent. It matters not that I was there (on the trail) first. In some ways it matters not whether she actually was afraid or anxious (I have no idea). The very possibility was real. What concerned me then, and concerns me now, is that we live in a world where the very presence of one (man) can and does cause anxiety or fear in another (woman). We live in a world in which I understand women are continuously targeted for harassment or intimidation. Where men (yes not all men, hopefully including me and most men that I personally know…but surely that’s not the point) continue to inflict violence upon women that they know (and don’t know). And that my feeling of anxiety and fear about making another afraid and anxious while palpable to me completely pales into insignificance when compared to the experiences and feelings of many women every day. Hello Adelaide! In town for the 2015 @Clipsal500 launch. Most pressing item for the day, what do the grid girl uniforms look like? This is a man with a huge public following, and with a wife and young daughter. And who continues the culture-wide objectification of women. And who is defended in social media commentary as “just having some fun”. And this is the relatively innocent end of the spectrum. And….I don’t know what to do with all of this. Really, I don’t. I’m a man. Men cause this. Maybe not me personally (to my knowledge). Maybe not many of the men who might read this. But we do, collectively, harass, objectify, instil fear in women everyday. This entry was posted in australia, parenting, stories from my life, wondering and tagged culture, fear, sexism, violence, women. Bookmark the permalink.